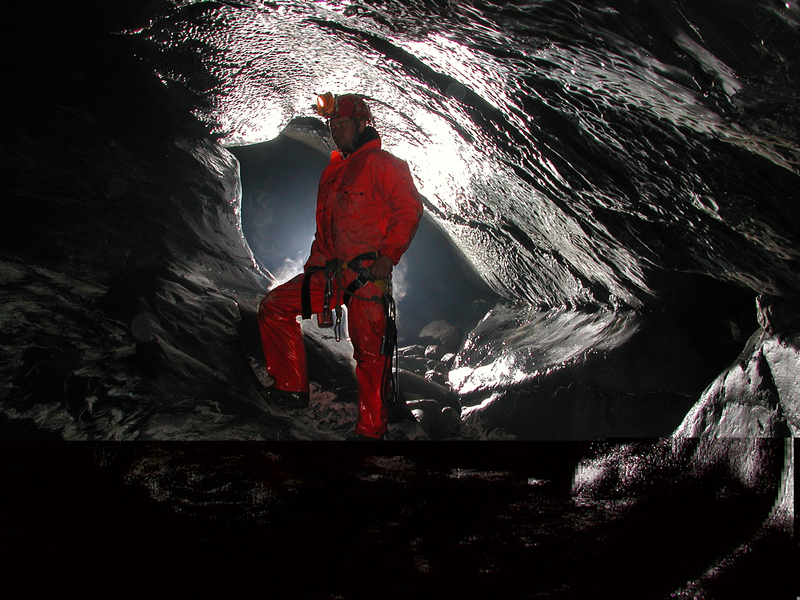 flyer "save the hole world"
posters "save the hole world"
postcards "save the hole world"
For further explanation of the speleological terms see the Glossary of Karst and Cave Terms. 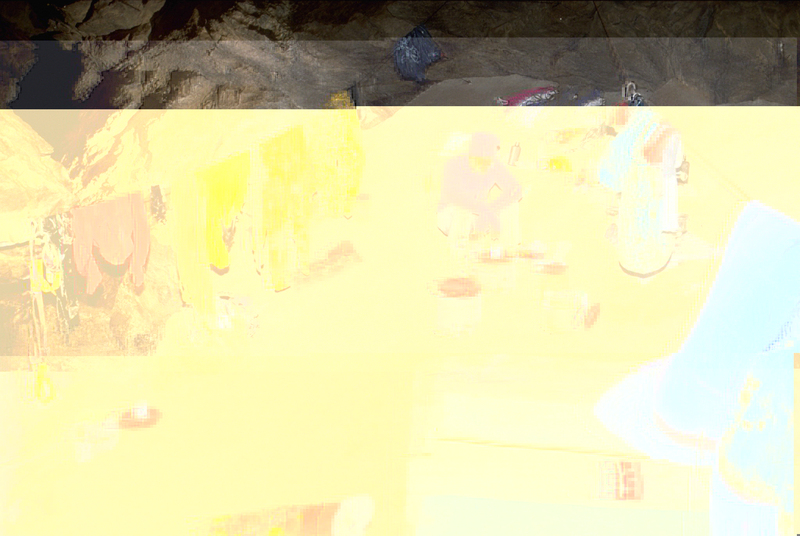 The pictures on this page may be reproduced freely as long as the full name and society of the photographer is clearly stated. 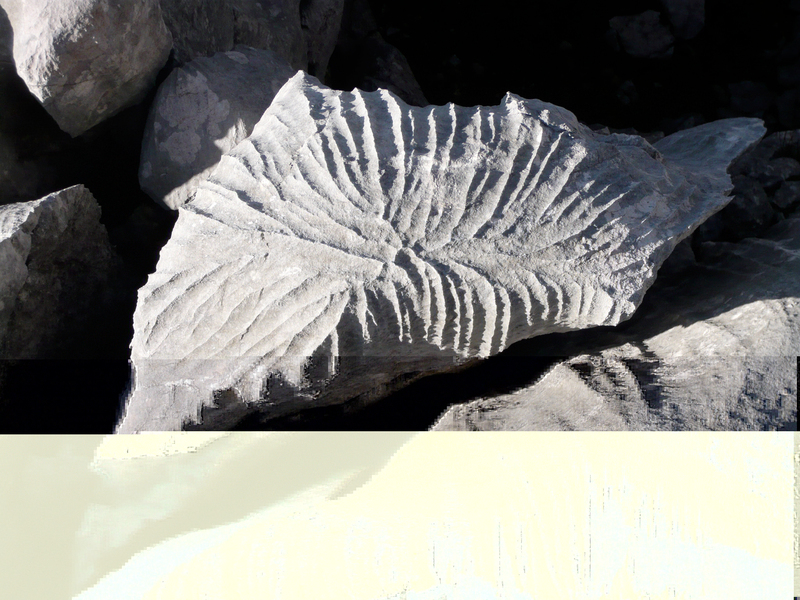 Numbering from left to right. 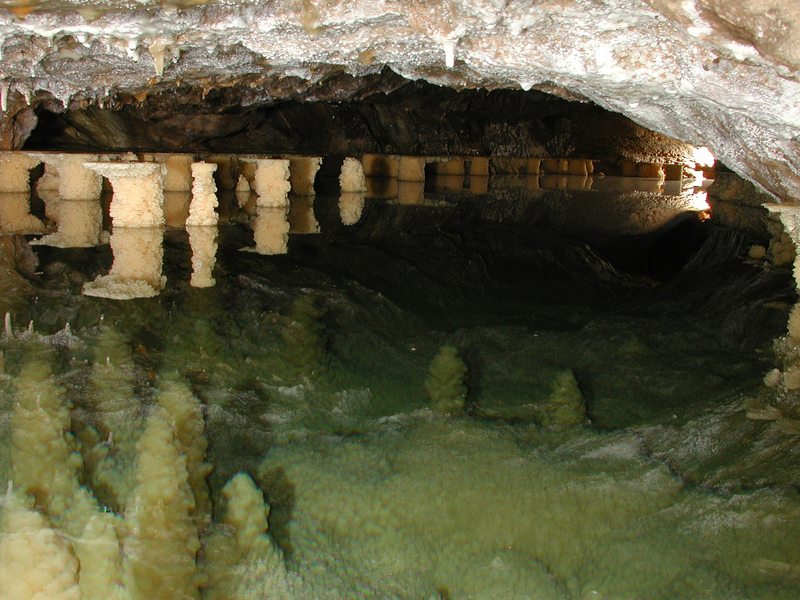 Caves are found in karstic regions. 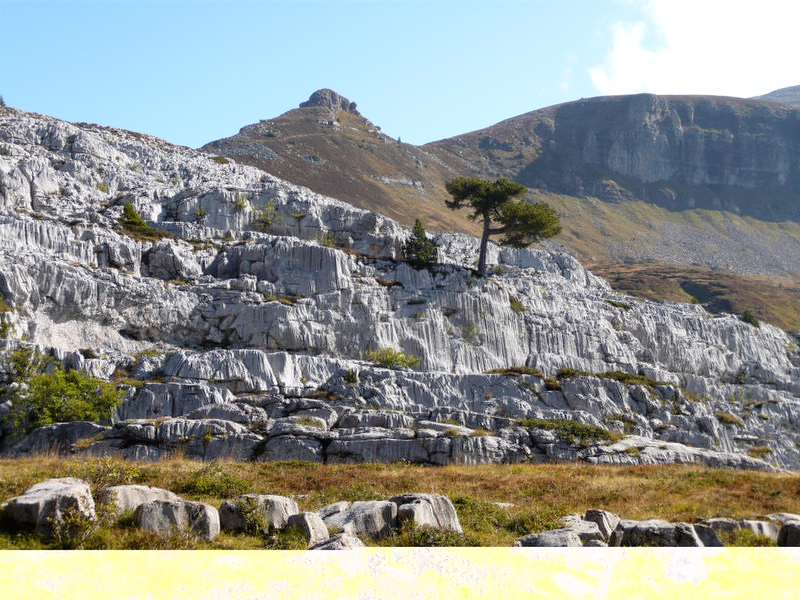 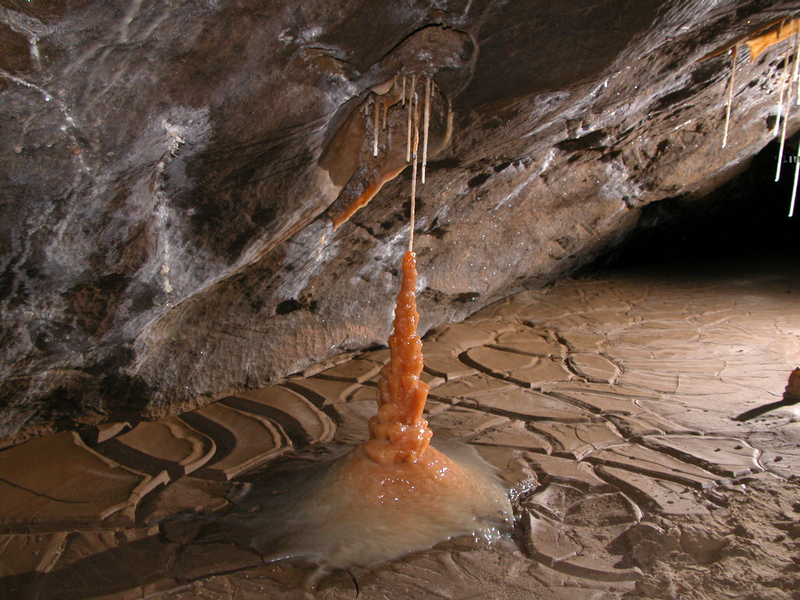 Karst may form unique landscapes, of which some are even under Unesco protection (1st to 3rd). 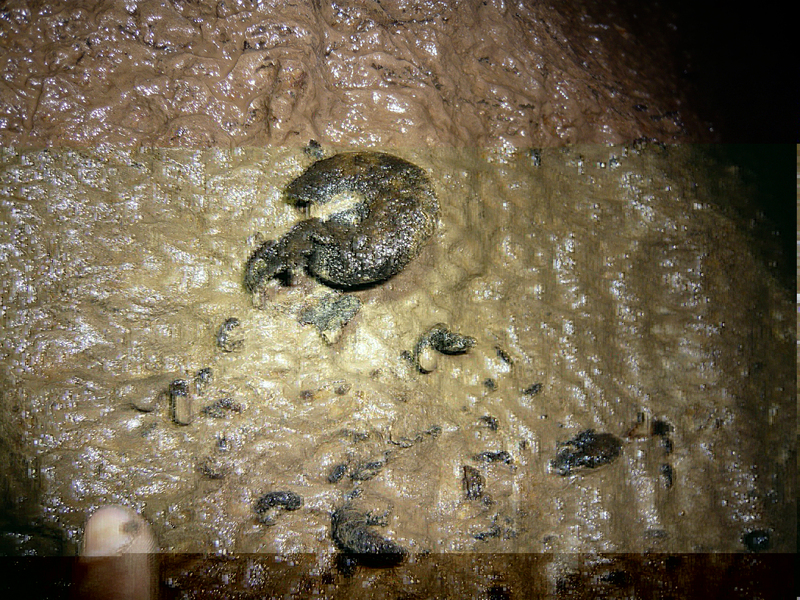 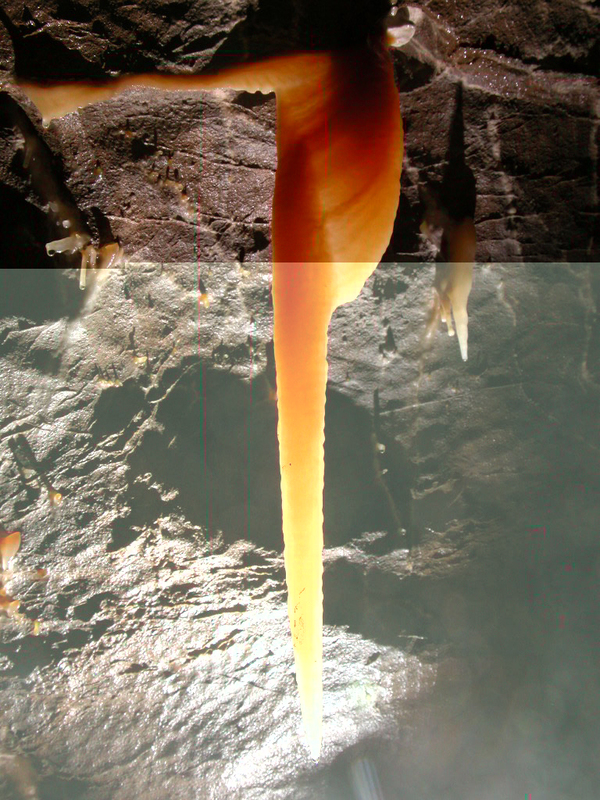 Fossil animals are geological indicators of the conditions during deposit of the sediments a cave is laying in (4th). 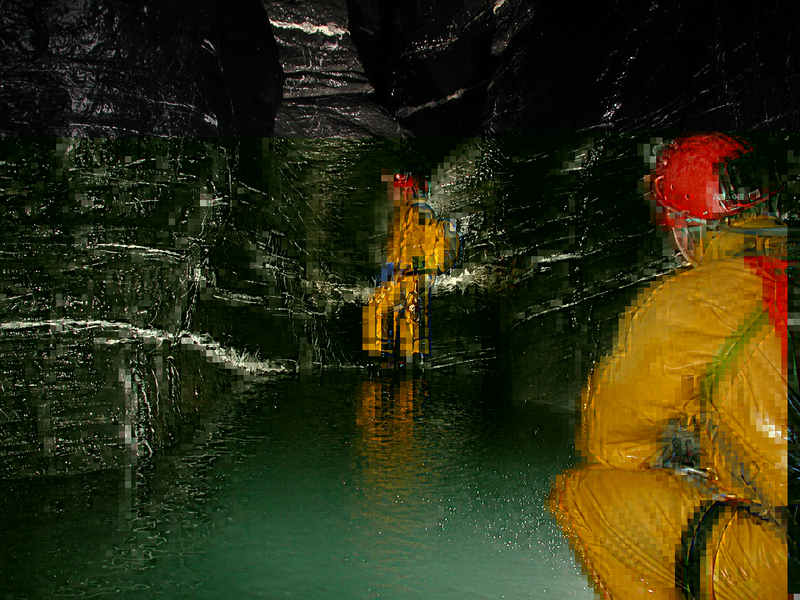 10 years ago, these cave entrances have been hidden under a thick alpine glacier (left). 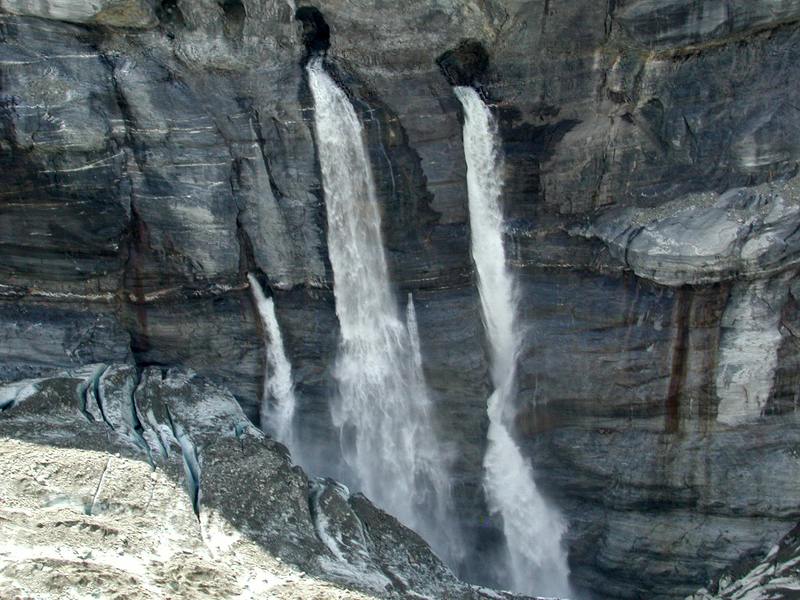 Now - because of the glacier deterioration - 20m high waterfalls emerge from a cave system. 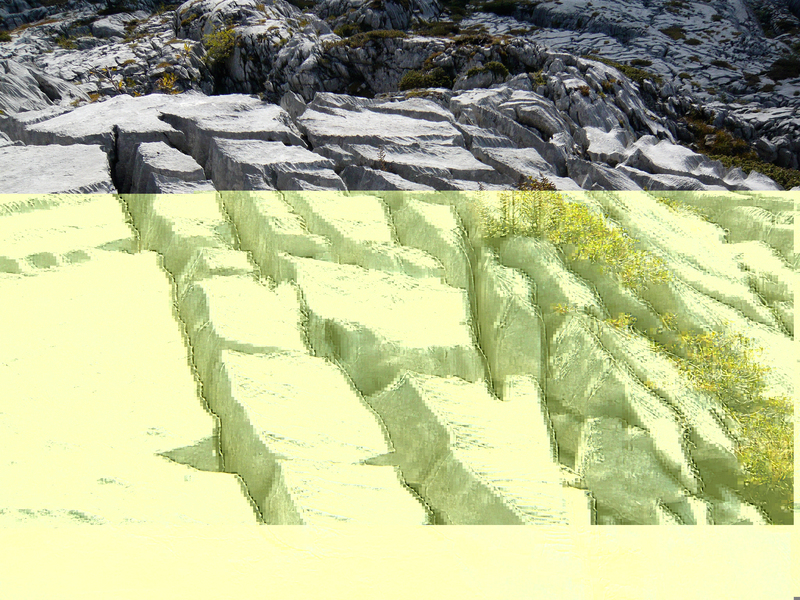 This is several kilometers long and drains the whole glacier (2nd). 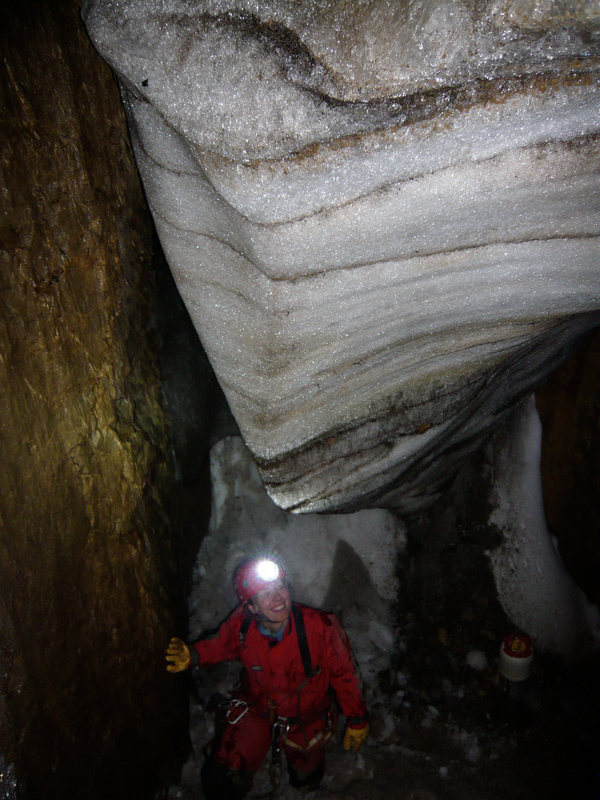 Ice caves are caves containing snow and ice that is naturally trapped. 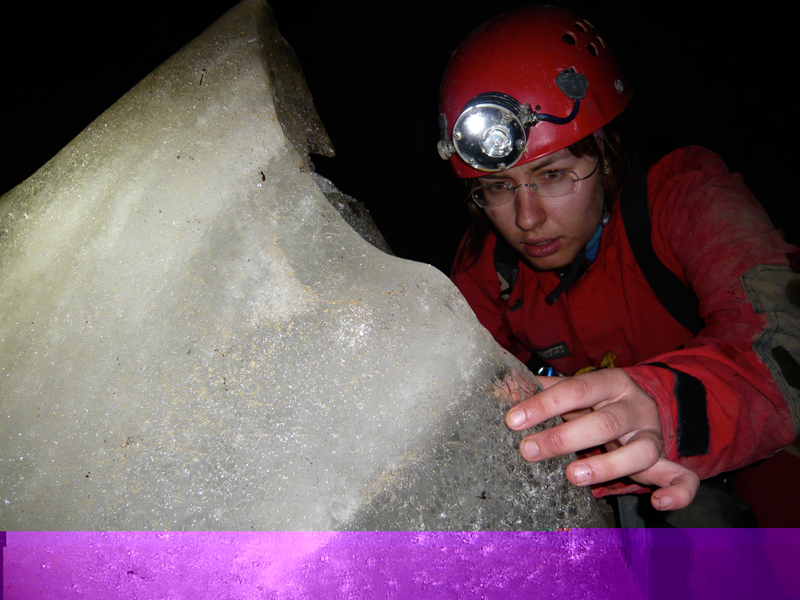 They preserve a climate record over hundreds or thousands of years, similar to tree trunks (3rd). 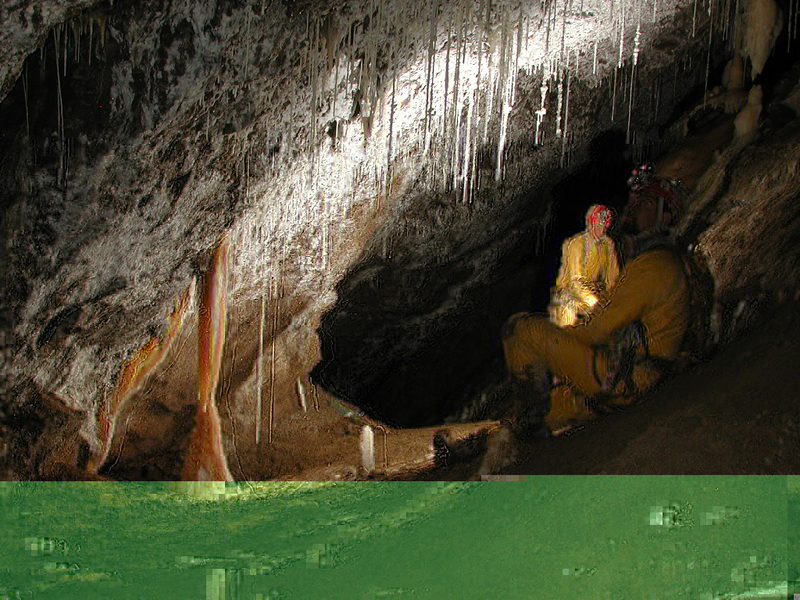 Speleologists study these caves (4th) and compare their results with climatologists and glaciologists all over the world. 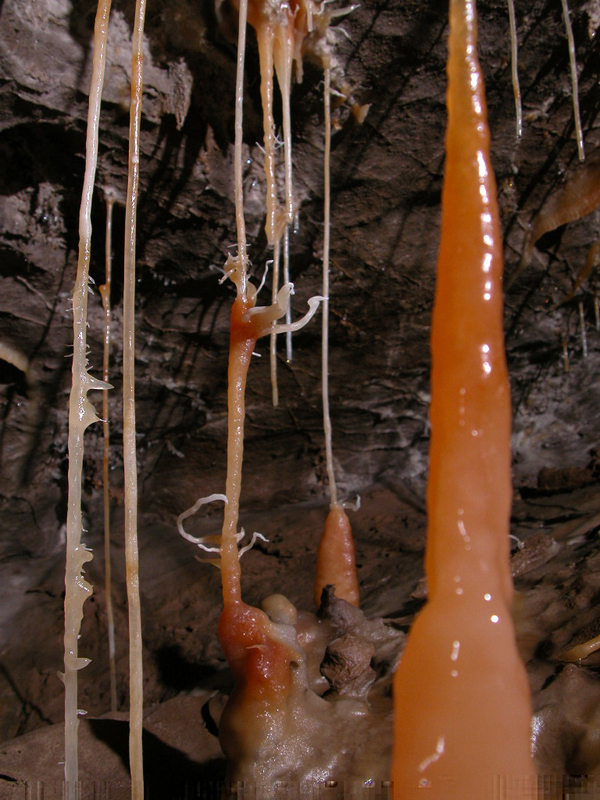 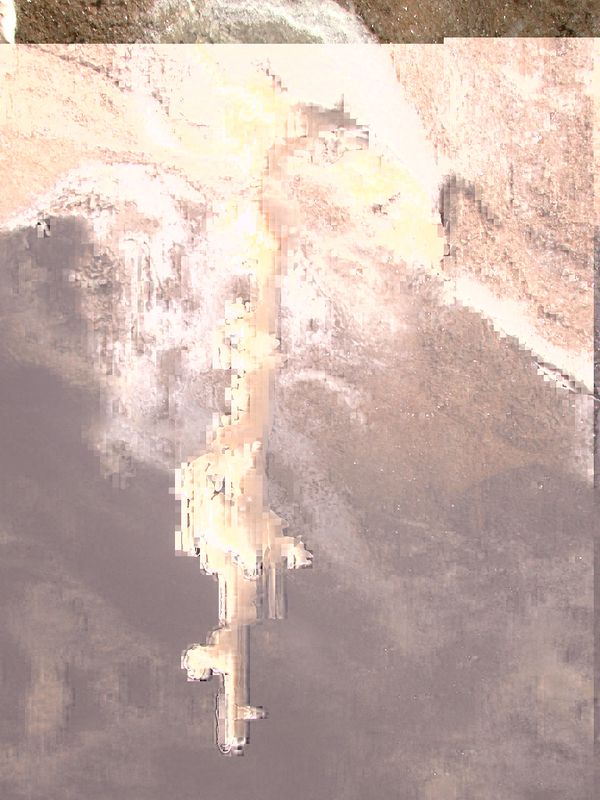 Flowstone and speleothems can - similar to ice, but much slower and over a much longer period - record climate data. 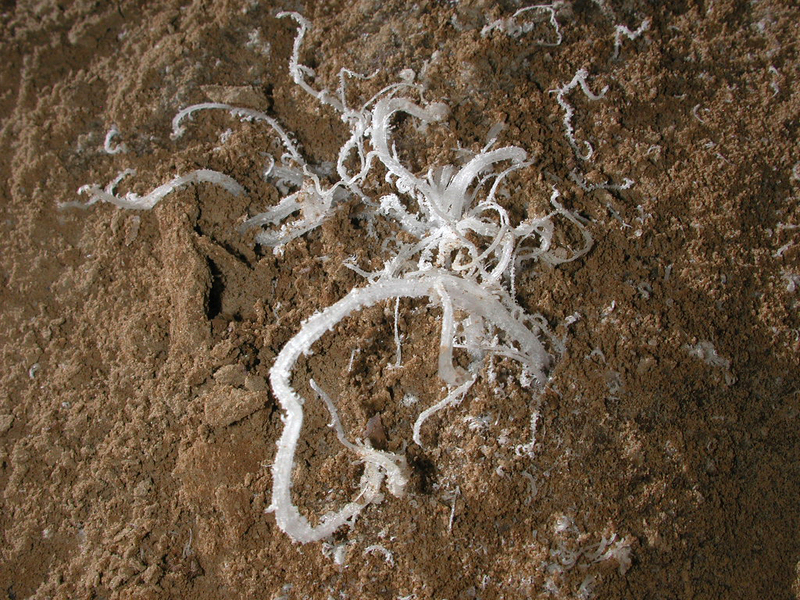 Speleothems grow over thousands of years, but can be very fragile and destroyed within a fraction of a second. 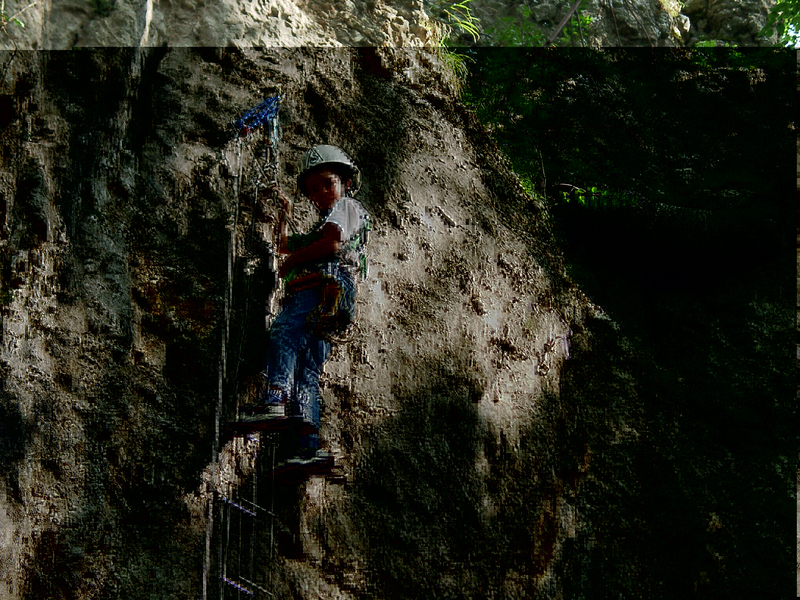 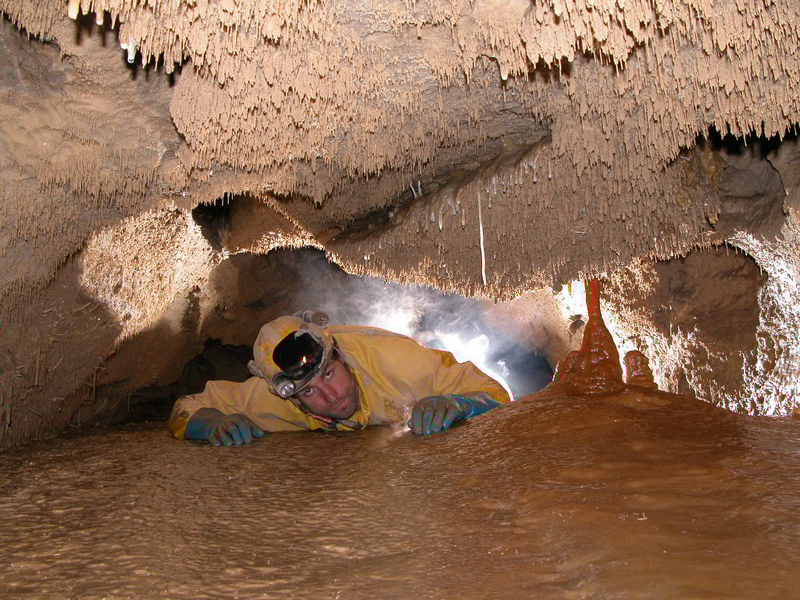 The requirement for any speleological conclusion is the discovery and serious documentation of caves (1st: discovery of a new pit, 2nd: discovery of a narrow passage). 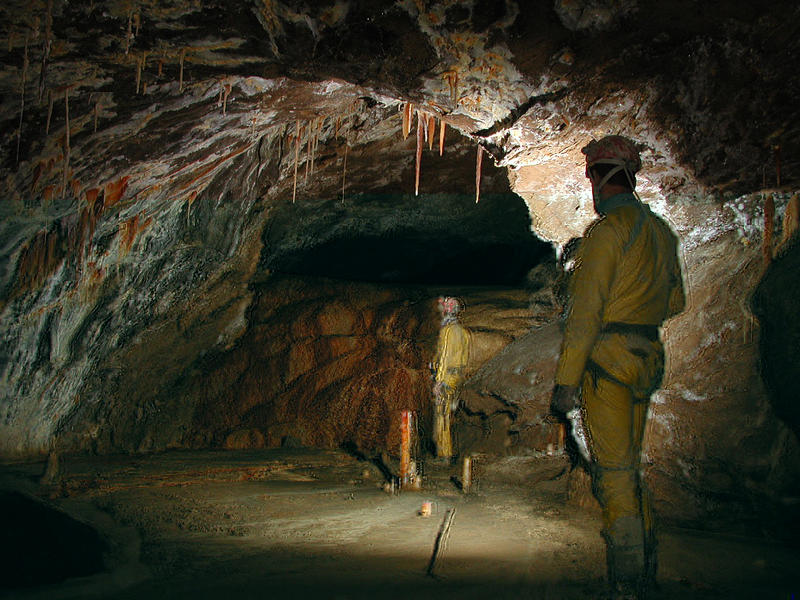 The caves are consequently surveyed and mapped (3rd). 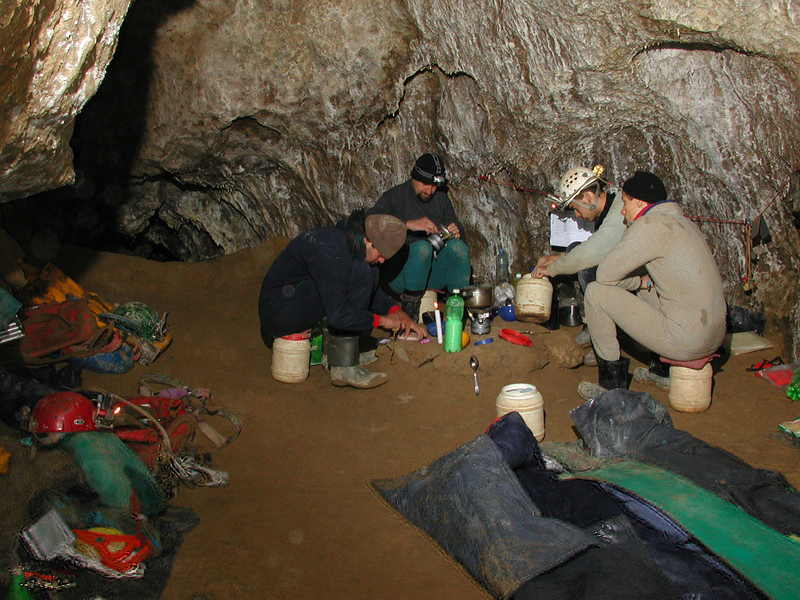 European cave systems can stretch out over hundreds of kilometers, which means speleologists are bound to stay underground during several days to reach remote cave regions (4th & 5th: cave bivouac). 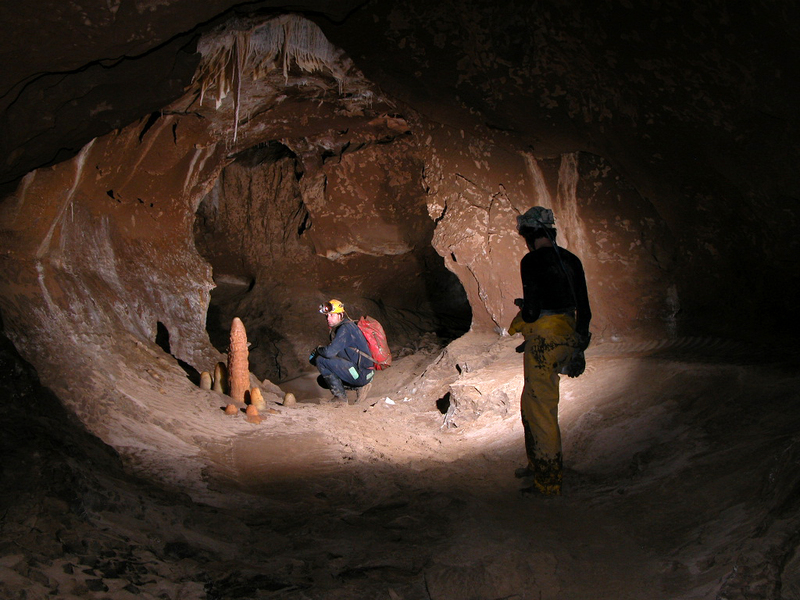 Some typical galleries of European caves. 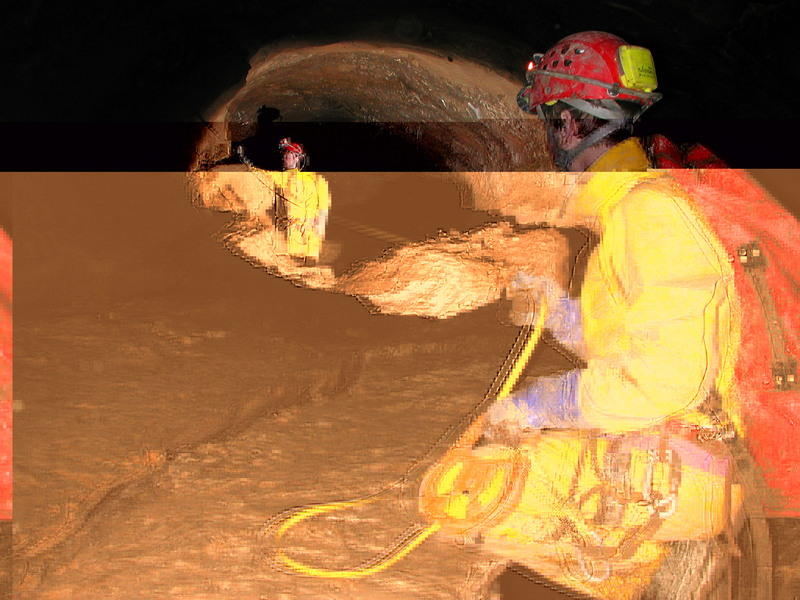 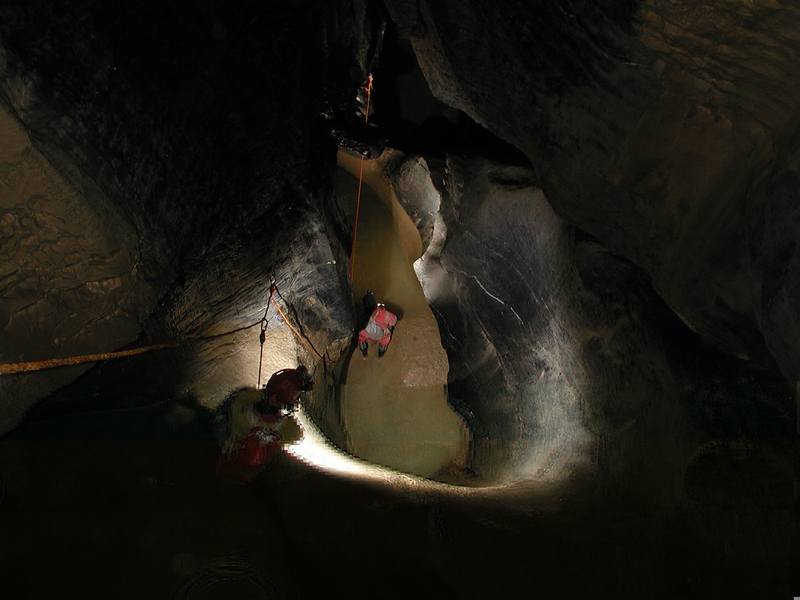 Training of young, interested people in speleological knowledge, technical aspects of caving and environmental awarenes is one of the most important tasks of the national speleological societies and their affiliated clubs.